With all communication lost from a mining asteroid, space station Benson dispatches a rescue ship to investigate. What the team discovers threatens not only to overwhelm and destroy them, but could ultimately threaten all life on Earth. 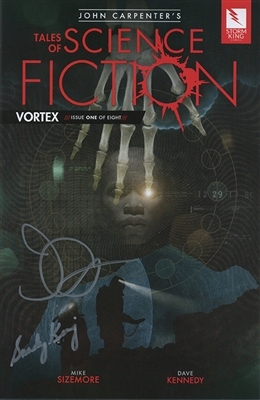 VORTEX (#1 of 8) is the second story of John Carpenter’s monthly anthology series Tales of Science Fiction.